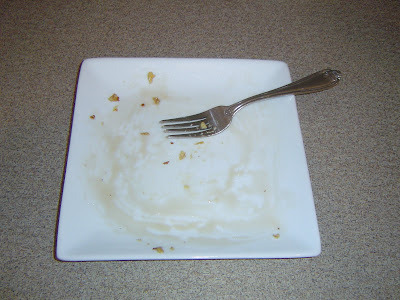 I don’t think I’ve met a single person in my life that doesn’t like French Toast. Not only is it such a yummy start to the day, but its easy to make with ingredients almost everyone has on hand at any given time. I add a little “secret” ingredient to give it a little something extra. 1. Crack eggs into a shallow pan or bowl. 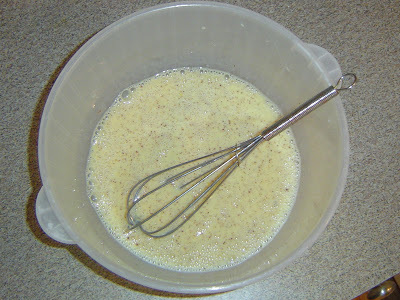 Add milk, cinnamon, vanilla, and whisk well together. 2. Bring frying pan or griddle to medium heat and melt a couple of pads of butter. You want a thin, even layer of butter. 3. 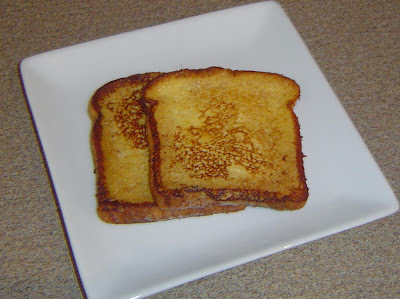 Once butter is melted, coat each side of the bread in the egg/milk mixture and place in the pan immediately. Only coat the bread right before cooking. 4. Fry bread until golden brown on the first side, and then flip. Takes about 3-5 minutes per side. Repeat procedure with remaining bread. 5. Serve hot with butter, maple syrup, or powder sugar. 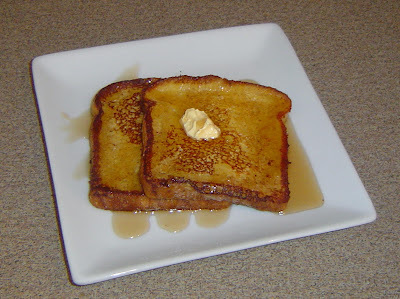 Thoughts: The vanilla extract gives the French Toast just a touch more sweetness and another layer of flavor. It’s that little something extra that makes people wonder what you did differently than what they do.